I am really pleased to introduce this questionnaire. It provides you with a genuine opportunity to shape the future of Wivenhoe. Recognising that there is a growing demand for homes and that the Government has set a series of targets for providing more housing, you now have the unusual chance to decide how you would like to see things being done in the future. More than that, here is the chance to lay out what you see as important for Wivenhoe and what facilities you would like. 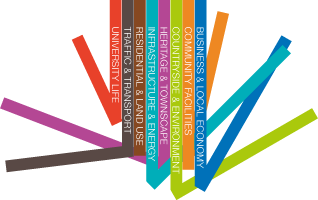 The Wivenhoe Neighbourhood Plan is being developed by the Steering Committee, a voluntary group of local residents with open membership, with assistance from Wivenhoe Town Council. It is intended to reflect your views. Questionnaires are being delivered to all households in the town to ensure that all opinions are heard. In many ways it can be called ‘the peoples plan’. Preparing a Neighbourhood Plan for Wivenhoe will be a lengthy process and is expected to take up to two years. Your replies to this questionnaire will be used to prepare the Plan which will be presented to residents and put to a vote. This Plan can only be formally adopted if it receives a vote of approval from townspeople. The importance of the document is reflected in the fact that, after external scrutiny and adoption, it becomes a part of Colchester Borough Council’s planning policy for Wivenhoe. This means that in all future planning matters affecting Wivenhoe, these policies have to be met. I hope that you will recognise what this Plan can mean to you as an individual and how it places a measure of power into your hands. Please take this opportunity to exercise your views and complete the questionnaire. The future lies in your hands.